"When war devastated the land, buildings crumbled to dust. Everything we had was lost, and we fled empty-handed." With such a tragic start, I wondered if I should read it to my five-year-old daughter at first. But, the compact and child-friendly text in first person narration, the magnificent illustrations, the overall optimism, not to mention the snatched moments in the little boy's life that possibly shaped him to become the person he is today made it impossible for me not to read it to her and see how she receives it. The author, Uri Shulevitz, was born in Poland in 1935. Just a few years later in 1939, when he was four, events surrounding the German aerial bombardment of Warsaw led his family to flee Poland. This book is an autobiographical tale, presenting a tiny window of events from the author's life that proved quite seminal. When living in a small room that his family shared with another couple, far away from the place they called home, with little or nothing to eat, no toys, no books, the little boy remembers one particular day: the day his father went to the bazaar to get some bread, but, came back home with a large and colorful map instead. How this map changed his life in the deplorable conditions in which they were thrust by circumstances makes up the rest of the book: "Our cheerless room was flooded with color." Sure, at first, he was angry at his father for bringing a useless map when they were starving. But, whereas the bread would have barely sated the hunger for a day, leaving them just as empty as before, the map brings a certain long-lasting joy that fills the gaping void in the author's life at that time. Each day, the little boy sat hypnotized in front of the map, picking out exotic locations to travel to, making up rhymes with the names on the map, even drawing parts of the map on any scrap of paper he could find, spending many magical hours feeding the soul... and thereby relegating hunger and desolation to the backseat, disallowing Poverty to starve the mind. Caldecott medal winner Uri Shulevitz is well respected for his talents. The illustrations in this book are nothing short of magical - particularly, the flights of fancy the boy goes on appealed to my five-year-old's sense of adventure and curiosity. Author's Note at the back gives a brief but breathtaking glimpse of his early life. And, I found out I had very little to fret about in the first place, as the book certainly had a very positive impact on her. Despite the wide exposure kids have to the world today, despite the Global Village phenomenon, Fukuoka, Omsk and even Pennsylvania are nothing but places on a map, on the earth, somewhere; and the way to get there by themselves at their tender age is via imagination. This is one book that has left me speechless, awestruck, with its minimalistic presentation of the profoundly pivotal episode in the author's life. Some lives are plagued by tragedy, but, when optimism and cheer prevails, it becomes rich and inspiring. What a wonderful pick Sheela. Echo Sathish. As usual, gerat pick and great review. Will look out for this one. Just wonderful Sheela!! and a lovely review. I read a lot on the Holocaust, and have been looking out for books which have something positive in them, inspite of having the Holocaust in the background. Uri Shulvitz, being a survivor, fits my bill perfectly. Thanks, Sheela, for pointing it out. 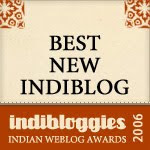 Satish, ChoxBox, Vibha, Sandhya:: Thanks! 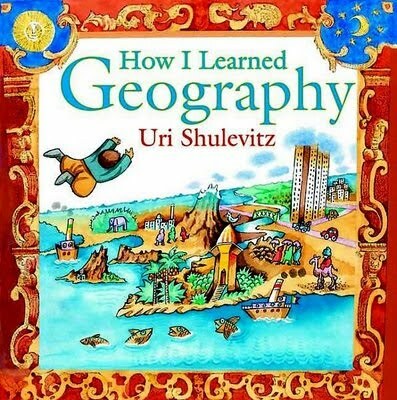 Snow and The Treasure were our first encounter with Uri Shulevitz, but How I Learned Geography, possibly because of its autobiographical nature, simply etched itself on my mind. To distill a consummate experience and present it in such an elegant and child-friendly way by the author (text and illustrations)... it simply blew me away.